Today NHS Employers has published the new junior doctor contract, including full terms and conditions, which will mean an average 13.5% basic pay rise and will improve safety for patients and doctors. “The new contract, 90% of which was agreed with the BMA, and endorsed by senior NHS leaders, is a very good deal for doctors and the NHS. It will mean an average 13.5% basic pay rise with a reduction in the number of long shifts that can be worked to improve safety. We urge junior doctors to look at the detail of the full contract and the clear benefits it brings. “Our equality analysis shows doctors on the new contract will benefit from a fairer pay model that better rewards those who work the most intense and unsocial hours and will improve patient care across seven days. Part-time trainees will now benefit from the same benefits as those working full time, including the same pay protection on a pro-rata basis. 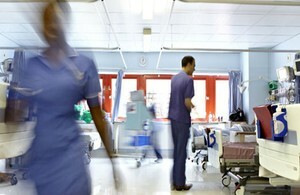 The EA examines the provisions of the contract – for example, this includes pay linked to levels of responsibility, pay linked to the number of hours worked with additional pay for those working the most unsocial hours and concludes that the new contract is fair and justified and is good for both staff and patients. We consider that the new contract will advance equality of opportunity. Where the new contract may have any adverse effect on people with protected characteristics such an effect does not result in discrimination as the new contract is a proportionate means of achieving a legitimate aim, or aims. Doctors who have to change specialty because of a disability or caring for someone with a disability will receive pay protection on the same basis as someone who changes to a shortage specialty.